Homeland Security Secretary Kirstjen Nielsen announced resignation from her position April 7. She served for one year and four months in the role. The resignation took place after a 5 p.m. meeting with President Donald Trump to discuss immigration and border issues. 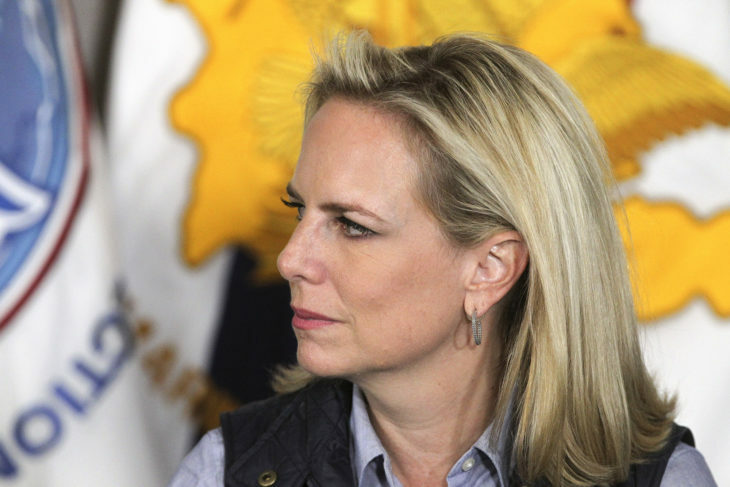 “Despite our progress in reforming homeland security for a new age, I have determined that it is the right time for me to step aside,” Nielsen stated in her resignation letter. President Trump announced in a tweet that U.S. Customs and Border Protection Commissioner Kevin McAleenan will become acting secretary. According to NBC News, Fox News and CNN, Nielsen’s resignation was a long time coming. According to a person close with Nielson, there was a mutual frustration between her and President Trump. A source close to Nielsen said she tried to fix her position with the president by doing interviews, but to no avail. Fox News reported that Nielsen wasn’t fit for her job because her views on immigration laws didn’t line up with the harsher views of President Trump and some of his aids. A senior administration official told Fox News that both National Security Adviser John Bolton and White House Chief of Staff John Kelly had disagreements with Nielson’s stances on immigration. An administration official said Nielson’s cybersecurity background made her unfit for the position. A plan to push her out was due to happen in November 2017, but the government shutdown halted that plan, Fox News reported. Both NBC News and CNN reported that President Trump’s removal of his nomination of Ron Vitiello for Immigration and Customs Enforcement director may have influenced Nielsen’s resignation. CNN reported that the removal shocked the Department of Homeland Security and Capitol Hill. Nielsen was promoted to Homeland Security secretary in December 2017 after John Kelly became White House chief of staff.